The 2014 Honda CBR 250R finally gets some much needed updates. It takes design cues from the bigger supersport machines in the Honda line up, a design we have already seen on the CBR 300R and also the CBR 400/500 series. But more importantly its not just a cosmetic change. The 2014 Honda CBR 250R gets a pretty decent power bump of about 3 horses taking the peak power to 29 HP at 9000 RPM and a very slight increase in torque to 23 Nm at 7500 RPM. The dual headlight and the redesigned exhaust system is sure to make this edition of the quarter litre a huge success. The down side in all this news is that we still do not know when the motorcycle will make it to India. Currently it has been launched in the Indonesian market and boy are they a lucky bunch when it comes to the below 500 segment. We do hope that along with engine update there is a change in the gearing ratios as well, the earlier CBR 250R needed constant gear shifts to at city speeds making it slightly uncomfortable. Another important aspect that has changed is the weight, it is down by 3 kgs to 164 kg. Apart from these there are minor changes like an increase in wheelbase by 11 mm to 1,378 mm and minor visual changes for design unity. The interesting thing though is that now there are so many variations of the CBR its almost weird that they co-exist. 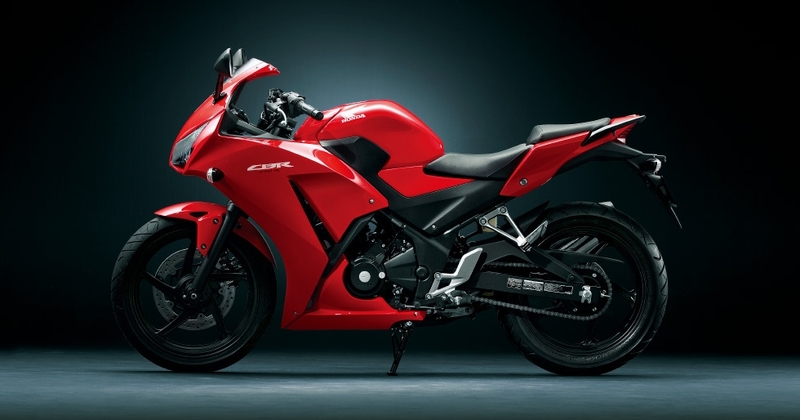 There is the CBR 300R then of course the trio versions based on the 400 and 500 cc engines. At one point we in India were sure to see the CBR 300R but with the update to the CBR 250R that possibility seems unlikely. Nevertheless we sure do hope the 500 trio come down, it just adds some great versatility to the line up and a much needed one too. Coming back to the new 2014 Honda CBR 250R, expect a similar price with a slight bump because anything more and our price sensitive market will react strongly as there are a lot of very competitive motorcycles in the same price bracket.